Persian, c. 1880. On a backplate. 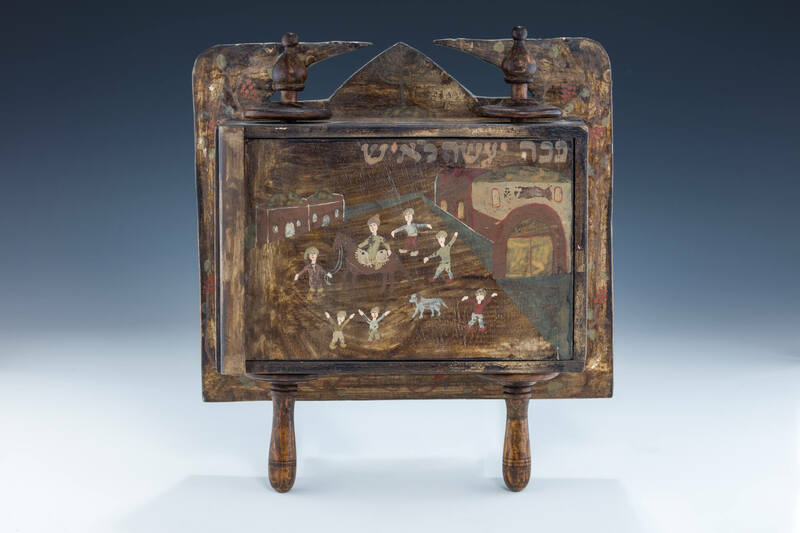 With two rollers and opening door with painted scene and excerpt from megillah. The megillah is decorated with flowing leaf design. 11” tall.